Spring Tribal Stomp 2019 is just around the corner! We're calling this one Song of the Earth, as we're focusing on those deep rhythms that wake us up for Spring! Making their triumphant return to Tribal Stomp after 3 years, we have The LowEnd Theory Drum Ensemble! With featured dancer, Tess Collins! Also, a preview performance by SheWolf Sacred Movement! And fire performance and maypole ritual by Hadrian! Along with our usual kicking drum jam, fantastic vendors and healers, all to be announced shortly! Saturday, May 4 at 7pm (doors open at 6:30). Tribal stomp is an all ages, alcohol free event. Tickets are $20/adv, $25 at the door. Purchase tickets here. To volunteer in exchange for free admission, register here. The LowEndTheory Drum Ensemble is a home-grown music project that began as a community djembe jam in 2009. The Chicago-based drum ensemble plays original arrangements of djembe music from West Africa, while mixing in rhythmic flavors and sounds of its larger diaspora and other musical traditions. The group was founded and is directed by Andrew Elbert, a local performer/teacher/composer and active member of the Chicago djembe scene. The band consists of an ever-evolving set of local musicians and has featured master djembe musicians from West Africa. The ensemble recently added guitars, keyboards, and horns that fuse Western pop harmonies with traditional African rhythms to create a unique blend of what can only be described as “djembe rock n’ roll.” The music is exciting to watch, listen, and even more fun to dance! The LowEndTheory hopes to record its first album this summer to commemorate its ten-year anniversary. Tess began training in Chicago at a young age in western dance styles. In 2013 she earned a BA in Dance from Columbia College. Since then she has been traveling solo, (Nicaragua, Costa Rica, China, England, Myanmar, Malaysia, Canada, Philippines, Thailand, Mexico, Cambodia, India, Gambia, Jamaica) by groove, collaborating as a performing artist and movement meditation instructor for all walks of life. She is honored to share and perform with this community in the city she knows best. SheWolf Sacred Movement is a Chicago-based, global purpose revolution to venerate the embodied feminine soul. Through interdisciplinary artistic mediums, we create a process + platform for stories of divine resilience. Our intention is to center voices, bodies, + hearts that have been impacted by systems of oppression. As a channel of unity consciousness, performers + audience alike move + witness to engage in collective transformation + liberation. Our works range from ancient ritual practices + classical cultural dances to contemporary expressions + exchanges. A renaissance woman of the modern day representing ancient spiritual art of the past. Stone Carver, Healer, Dancer, and fire performer. she is here to act as a window to the past. She is holding ceremony for everyone to express unity and release unwanted energies as the new spring is welcomed with a maypole dance. Adrienne Powers is a painter and multi-media artist residing in the greater Chicago area. She has exhibited locally and nationally and her work is privately collected. Adrienne’s work reflects her journey which is woven with Ancestral & Spiritual guidance. She is an initiated Priestess in the Palo Mayombe tradition, a Reiki Master Teacher & Healer and a Spiritualist. Her hope is to engage the viewer on a spiritual level to discover, reflect and consider the multi-dimensional expression of her work. Secquoyah first started out meditating & focused manipulating energy. He continue to master how to heal & soothe others with this “energy“ and he came across Reiki. He immediately studied at Equilibrium Energy & Education to establish this healing energy within his presence & heart. He received both his Level 1-2 Reiki attunements there and received his Reiki Master under Heather Venus Durham whom also studied under Equilibrium. He continues to give Reiki throughout Chicago with divine light inside his heart with each session. He offers it in the style of the 4 elements which is just varied ways of how he applies Reiki. Tarot readings and sound healing. Tracy Fox is a talented and compassionate healer serving Chicago for over 7 years. She is a reiki master teacher and classically trained singer. The past 5 years have been spent developing a healing modality which combines her passion for voice and energy work called song healing. I am a licensed massage therapist and I am more than happy to provide mini massages to release stress and bring a sense of well being to anyone who needs it! I am skilled in Swedish, Deep Tissue, Trigger Point, Sport, and Hot Stone massage. Floral crowns made from eco-consciously grown flowers. Goddess Wares and Tribal Jewelry. 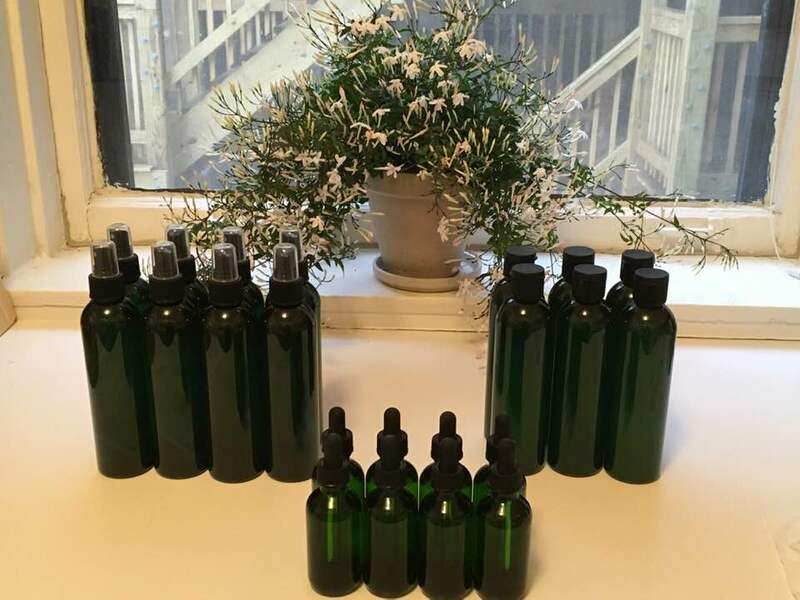 Gluten free and vegan aromatherapy products for face and body. Dank Lotus is the brainchild of three Chicago ladies who have each, in their own ways, long known that cooking is one of the greatest gifts they could share with the world. With experiences that go as a far back as childhood, they have been creating sensational flavors in the kitchen for both themselves and loved ones as well as contributing their kitchen skills to other events and projects. Drawing from their respective ethnic backgrounds as well as other international inspirations, they look forward to opening more hearts and filling more bellies with dank, delicious joy.